The Lymphoma Research Foundation (LRF) has announced the election of John Leonard, MD, as the chairman of its Scientific Advisory Board. Dr. Leonard is the associate dean for clinical research at Weill Cornell Medical College, vice chairman for clinical research in the Department of Medicine, and the Richard T. Silver Distinguished Professor of Hematology and Medical Oncology. 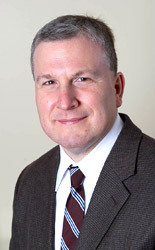 He also serves as clinical director of the Weill Cornell Lymphoma Program, attending physician at NewYork-Presbyterian/Weill Cornell Medical Center, and is associate director for Clinical Research of the Weill Cornell Cancer Center. Dr. Leonard’s two-year term as Chair began July 1, 2012. Comprised of the world’s leading lymphoma researchers and oncologists, the Scientific Advisory Board formulates the LRF research portfolio, seeking out the most innovative and promising lymphoma research projects for support. The board reviews grant proposals and makes recommendations regarding research priorities and funding to the Foundation Board of Directors. The board also evaluates the progress of on-going research projects and guides the direction of the Foundation’s research programs.